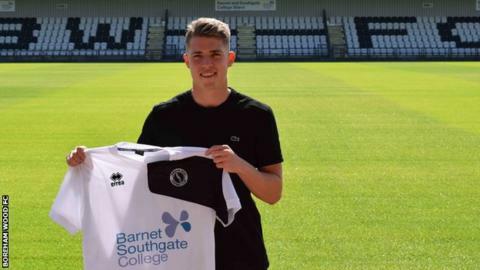 National League side Boreham Wood have signed striker Bradley Ash on a season-long loan from Barnsley. The 21-year-old joined the Tykes in 2016 from Weston-super-Mare but has so far not made a first-team appearance for the Championship club. Ash spent the much of last season back on loan at Weston-super-Mare, scoring 19 goals in 34 matches. "I think that I can really progress here and I think I can do well for the team," he told the club website.